I don't envy those working at Holden at the moment. Mary Barra, the CEO of GM, has said for the company to survive it must get a return on investment of 9%+. She has sold Opel, shut down Chevrolet in India, and pulled out of South Africa. There is a huge Holden car park put there with little loyalty beyond us V8 driving fanatics. The entire Holden range has to sell otherwise we could be getting our cars serviced at an Isuzu dealer like they are in South Africa. Holden is in the crapper beyond the Commodore because they brought in junk from Korea thanks to the masters in Detroit. I blame the old GM and Tony Abbott for Holden's problems. They have an unenviable task of turning this around. I'll keep the VF forever but I would like to buy a Bolt and a next gen Colorado. GM Holden has a long proud history of producing large, powerful rwd sedans which were highly desirable to many generations of Australians. Their imported products have never been much chop in Australia but the local product has always sold well and was at the top of the sales charts for many decades. Then around 2005, some bright spark within GM decided that it would be a good idea to rebadge Daewoo vehicles from Korea and sell them as Holdens. These vehicles were cheap, nasty, inferior and were always rated at the bottom of their segment in reviews. They were poor quality and extremely unreliable, which resulted in many customers abandoning the Holden brand, never to return. These vehicles severely damaged Holden's image and reputation and negated all the good work it was doing with the local product. Fast forward to 2017 and with the imminent closure of it's local factory and end of the Commodore as we know it, Holden suddenly realises that it's loyal customers who have repeat purchased Commodores and spent large sums of money with them over the years, will not settle for the imported garbage Holden is dishing out. Knowing that they have nothing decent to replace their local product with, they decide to give their loyal customers the middle finger and insult those who have been so loyal to them for many years. a) This image flies in the face of everything the Holden brand has stood for in the past. b) No amount of marketing is going to help if the product is poor. While Holden was busy dishing out Daewoo garbage, other brands like Mazda, Hyundai and Kia have re-invented themselves with quality products that people want to buy. As a result, people are turning to these other brands first when looking for a new car and Holden doesn't even make the shortlist. Surprise surprise. c) Holden is a car company. It has no place to be pushing views on equality, gay rights etc etc. I don't see any other car company using it's brand to push these views on the public??? Holden should ditch the social engineering and concentrate on delivering a quality product that people actually want to buy if it wants to have any chance of survival. Calaber and the_boozer like this. What if i told you GM doesn't want Holden at all? That's an interesting point but GM don't even seem to be maximising it's value for a sell off. Find it hard to believe that they would be happy just to let it fade away. c) Holden is a car company. Well they can at least let it die with dignity instead of turning it into a mouthpiece for the gay rights lobby. Tonner Matt and Calaber like this. Hence why I said car company and not car manufacturer. You won't be buying a Bolt in Australia, possibly a Colorado but that has no guarantees and if you think Holden shut up shop because of a PM who was in office for less than 10 weeks, you have just painted yourself for the fool you probably are. Bottom line - GM says they are not done pruning and I firmly believe Holden is well and truly in the firing line. Their supply of product was sold off with no agreement beyond current platform cycles going forward. GM have made it crystal clear they have zero interest in anything RHD so prospects for Holden are slim at best. IMO they are gone and I'm thinking it will be in the next 5 years. Coming to a Holden dealership near you. c2105026 and Noeleter like this. Let's see what happens when the contract expires. You see to have forgotten Warren Truss and Joe Hockey goading Holden into leaving. The Liberals and the Productivity Commission have wanted to shut down the car industry for years. And this comment you made was totally unnecessary: "you have just painted yourself for the fool you probably are". The only fool is you. For so long GMH had been a one trick pony; one model line for its first 19 years, 6 with two then 5 with three. During the 80s GMH didn't know what they were doing. Camira, Piazza, Scurry, Drover, Astra, Barina - no wonder Holden nearly went broke! Just as well here was a nice veil of economic tariffs to protect Holden as a company from other car companies who knew what they were doing. Oh no, wait - the Button Plan from '83 sought to reduce tariffs, and rationalise the car industry. No other country of 15 million people (at the time) had two (or 3 counting the Magna) models lines developed especially for them, with very limited export potential. VL Executive, figjam and Calaber like this. That's a pretty good summary. There are some pretty good books recently. Check out; Holden: Our Car from the Hagon Brothers, What happened to the car industry by Ian Porter and The Death of Holden by Royce Kurmelovs. 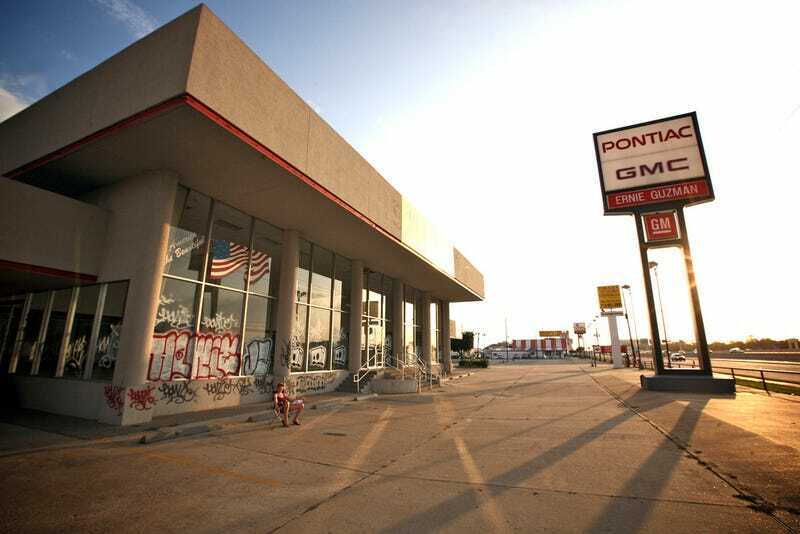 This is gross mismanagement by General Motors. They have appointed a revolving door of Holden bosses. They have stuffed up their prescence in Europe, South Africa and India. Plus they retrenched their body engineering capability in Port Melbourne back in 2014. Holden can't engineer another RWD Commodore even if they wanted. For me, more than the loss of manufacturing, that is the worse. I'll be there in October to say goodbye. It's such a shame. figjam and lmoengnr like this. There's no doubt that Holden's internal woes started during the mid 70's. What was to replace the HQ sized car by 1978-80? Some proposals were clearly signs of desperation but the eventual decision to build the VB proved to be the right one, for a few years at least. But some cars which wore the Holden badge around that time were a joke and cheapened the Holden image badly. They hopped into bed with one company after another trying to fill gaps in their model line-up.. The Drover and Scurry - rebadged low-rent Suzuki's that were both bloody awful. The Camira- great engineering ruined by being thrown together by an uncaring workforce, mixing Opel and Isuzu panels to produce the Australian "J" car. Astra - a Pulsar by any other name. Apollo - Camry with a new nose. This sort of badge engineering must have created a nightmare for parts departments and helped to muddy the Holden identity. Would any serious Holden afficionado seriously contemplate buying a bastardised Jap car with the Holden emblem? The biggest difference between those days and the times we face after October 20 is that the cars will generally be much better than the dog's breakfast of makes we were offered thirty years ago. Even the Korean ones. Whether they will be competitive and turn Holden's fortunes around is another matter. A significant issue is that the cars that'll be available after 20 October, won't really be Holden. If anything, after 2017 it will be rebadged Opel product, from a subsidiary that will probably be sold to PSA (and indeed may then be rebranded). OTOH Fiesta, Focus, Mondeo are 100% Ford product, as much a Ford as a 69 Boss Mustang or GTHO Falcon. A Mazda3 is as much a Mazda as an RX7. A Golf is as much a VW as a 68 Beetle is. Calaber, figjam and VS 5.0 like this.